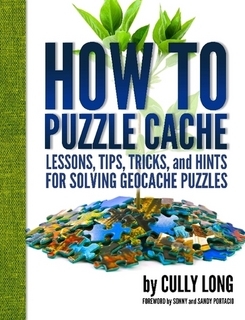 How To Puzzle Cache has received! The book has sold incredibly well, selling copies in a dozen countries, both through me and through a variety of geocaching supply stores around the world. I was also welcomed with open arms at GeoWoodstock this year, selling out of my (admittedly small) book stock before 11am, but I got to meet a lot of readers, sign books and talk to people about puzzles, which is always the best part. 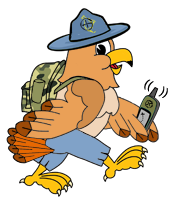 I’ve also joined the geocaching community with appearances on Podcacher, and the GeoGearheads podcasts.In the coming months I will be releasing the digital e-book version, and announcing a secret initiative that I think everyone will be very excited about. I also have a few other geocaching publishing endeavors under way, and of course I continue to put out quality puzzle caches for my local cache area. To learn more about the book, and how to buy it, check out his website at howtopuzzlecache.com. Don’t forget our interview with him on this blog, posted December 23rd, 2014, and check out his interview with Sonny and Sandy on Podcacher episode 497, recorded December 14th, 2014.